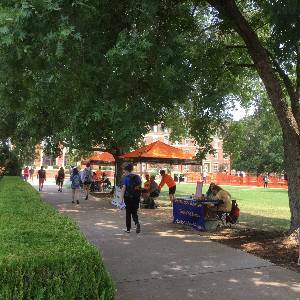 Want to reach the Oklahoma State University community? 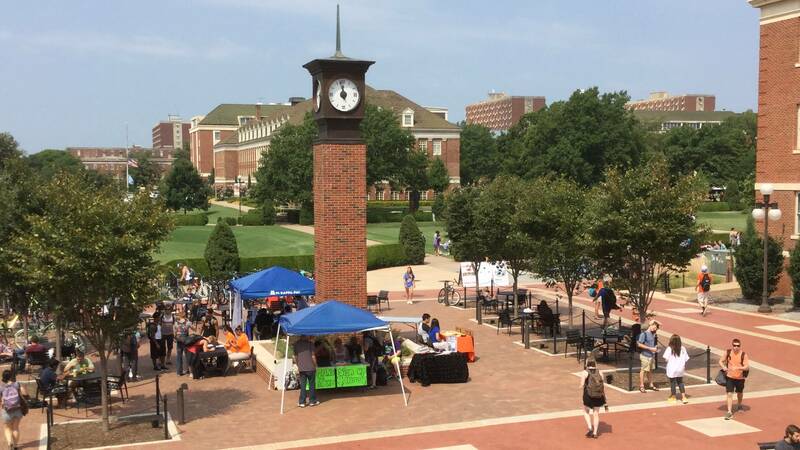 Tabling is a great way to increase visibility for your recognized student organization or University department and help garner support for an issue, advertise for events, and recruit new members. Table reservations are in designated public areas such as inside the Student Union or outdoors at the Chi-O Clock. All solicitation of goods, services, and programs on campus must be directly related to the mission of the University and be in accordance with the Student Union Solicitation Policy and Procedure. 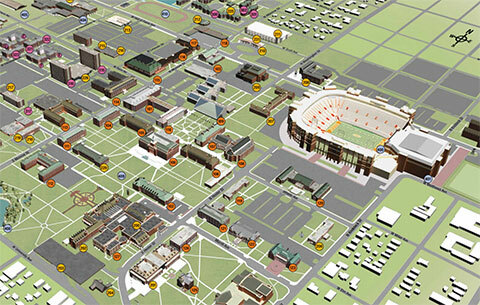 Download the Outdoor Tabling Locations Mapto help you select a visible and high-traffic location! Table spaces are limited to designated and approved locations. Tabling is limited to one 6-foot x 30-inch table and two chairs behind the table; the assigned floor space will be limited to an area of 6-feet x 10-feet. Solicitation must occur from behind the table and must not block egress. No structures can be built on the solicitation site and/or table top. Amplified sound is not allowed inside the Student Union and must remain at or below 70 decibels when tabling outdoors. Groups wishing to distribute and/or sell food or beverages must complete the Food-on-Campus Waiver Application. You may purchase food and beverages directly through Celebrations Catering in lieu of completing the food waiver. 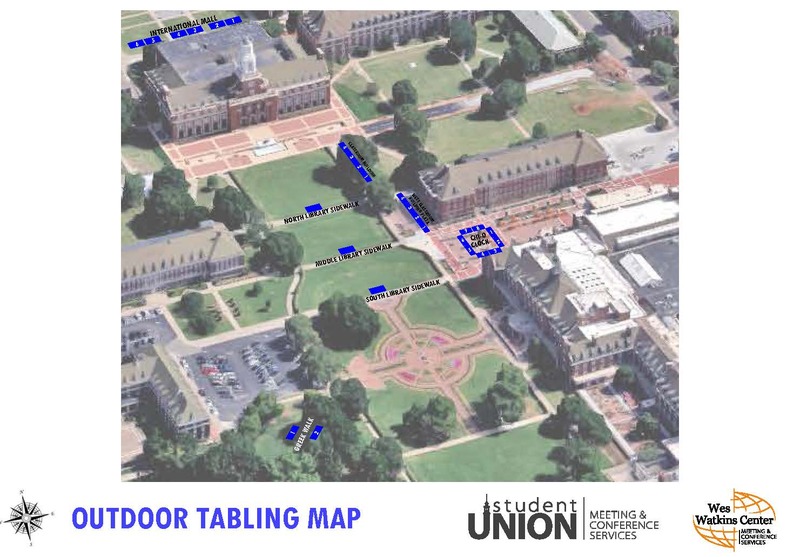 Outdoor Tabling Reservations: Organizations and departments may check-in at the Information Desk located on the first floor of the Student Union across from The University Store. Each group will receive one 6-foot table and two chairs with their reservation. A valid OSU ID is required at time of check-in. You will be required to set up your own table and chairs at your approved tabling location; once your tabling reservation is over you will need to return your table and chairs and sign out at the Information Desk. Fees may apply if equipment is not returned or stolen. Indoor Tabling Reservations: One 6-foot table and two chairs will be set up at your reserved tabling location. Clothed tables are $5.00 each. All off-campus vendors that would like to vend within the OSU campus must contact Meeting & Conference Services to obtain a solicitation permit. All reservations for off-campus vendors or those selling merchandise of any kind will incur a cost of $400.00 per standard table space per day as well as a solicitation permit fee of $250.00 per semester (Fall, Spring, Summer). All solicitation of goods, services, and programs on campus must be be in accordance with the Student Union Solicitation Policy and Procedure. Questions? Contact Meeting & Conferences in 179 Student Union at (405) 744-5232 or meetings@okstate.edu.